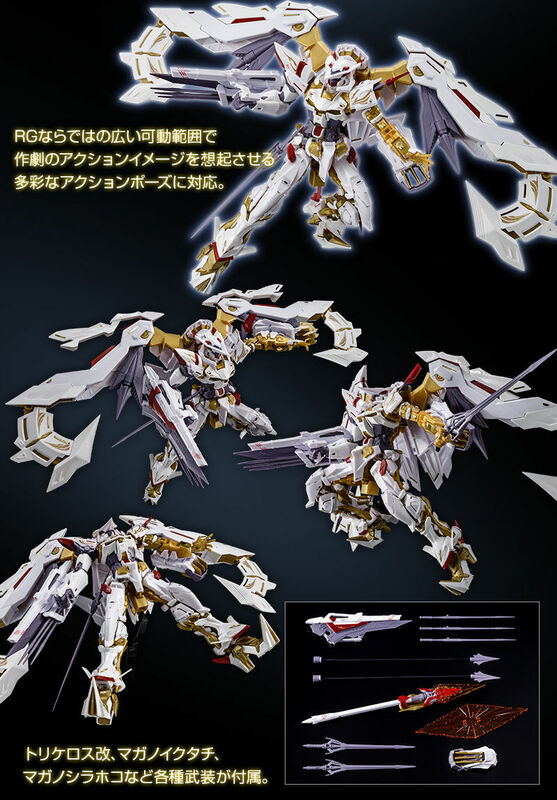 From Gundam Ace's comic "Mobile Suit Gundam SEED Astray: The Sky Princess"
Commercialize Gundam Astray Gold Frame Heaven (Amatsu) "Tianhana" colored with pure white in a real grade arrangement! 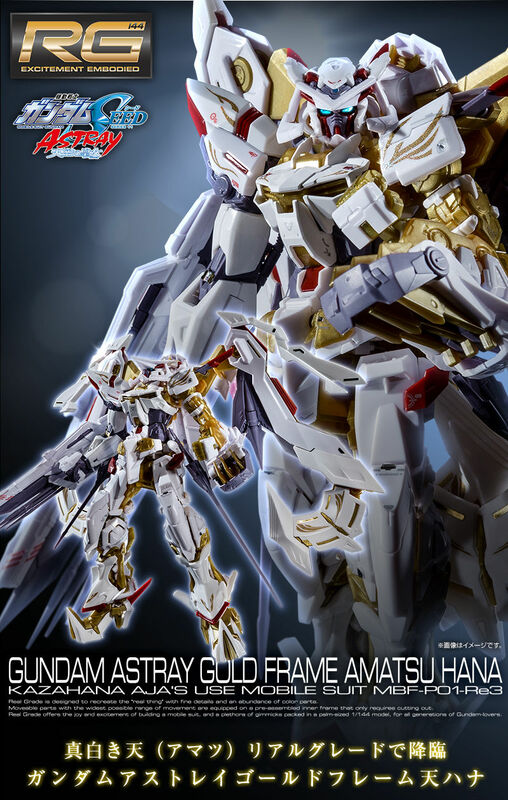 ● Reproduce the body color of gold frame Tenhana in different molding colors of tone! 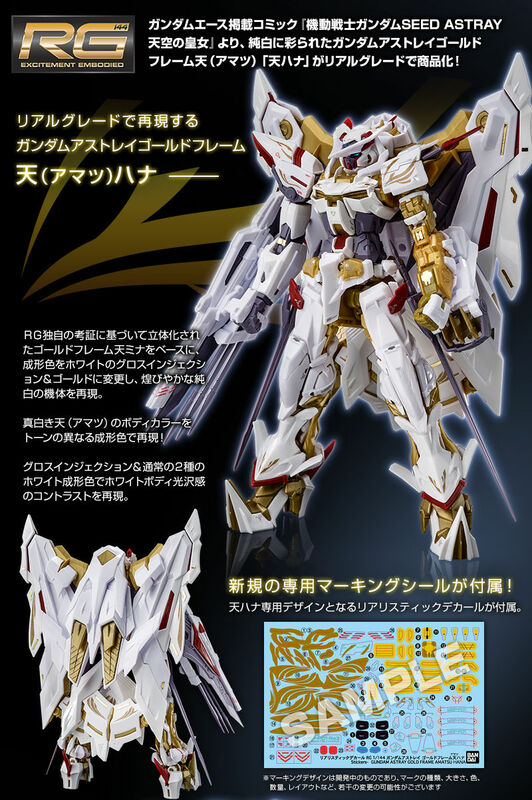 Based on RG's original research, the molding color is changed based on the three-dimensional gold frame heaven mina, and the glittering pure white aircraft is reproduced. We reproduce contrast of two colors with glossy injection with a feeling of luster and normal white molding color. ● New exclusive realistic decals are included! New realistic decals are included, including gold frame model number of Tenhana. ● Includes various characteristic armaments. A variety of armaments such as Trikeros Kai, Maganoikutachi, Magano Shirahoko are attached. Trikeros Kai and so on reproduce the molding color in white according to the drama setting.